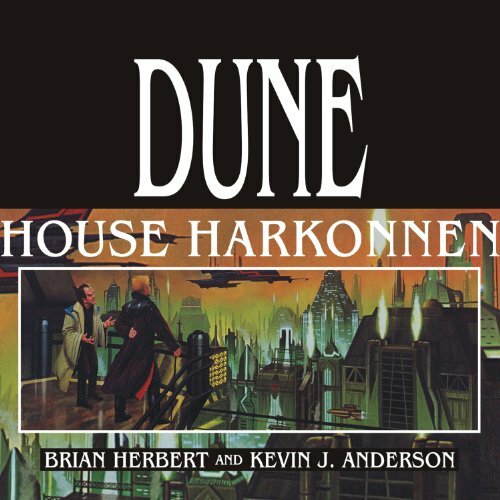 Returning to the vivid universe of Frank Herbert's Dune, this title continues the saga begun in Dune: House Atreides. 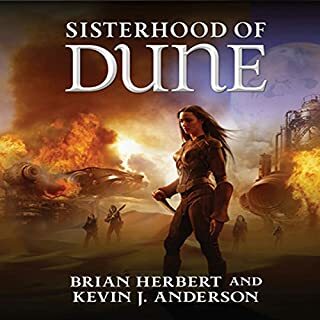 As Shaddam sits at last on the Golden Lion Throne, Baron Vladimir Harkonnen plots against the new Emperor and House Atreides - and against the mysterious Sisterhood of the Bene Gesserit. For Leto Atreides, grown complacent and comfortable as ruler of his House, it is a time of momentous choice: between friendship and duty, safety and destiny. 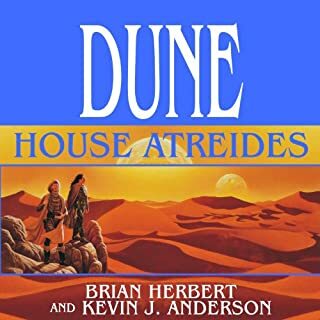 But for the survival of House Atreides, there is just one choice: strive for greatness or be crushed. 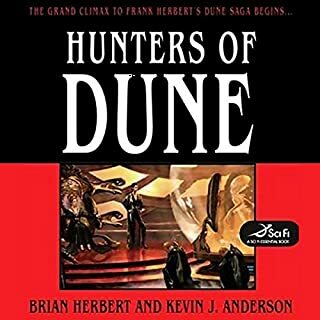 I was slow in warming up to the idea of Brian Herbert/Kevin Anderson adding side-bar stories to Frank Herbert's classic SciFi series. 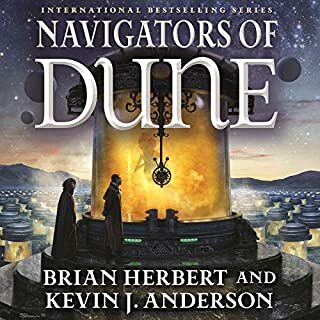 Had it not been for Audible including this title, House Harkonnen, in one of their periodic $4.95 sales, I would likely have never bought it. 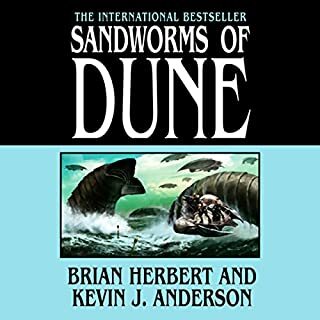 After having listened to this book, I've now added other Dune books by the Herbert/Anderson team to my wish list. This book is well written and well performed (by Scott Brick). I appreciate how it remained true to the character personalities portrayed in the original series. Within the first hour, I was immersed in the ever-familiar universe of Dune. It seemed the writing duo made every effort to keep Frank's voice alive in this tale. 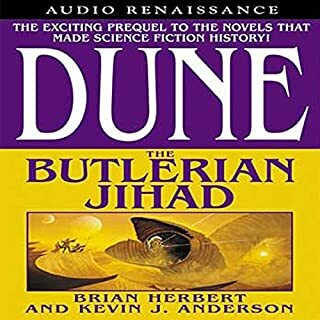 Having listened to this book, I now better understand many of the characters and plot setups in the original Dune book. 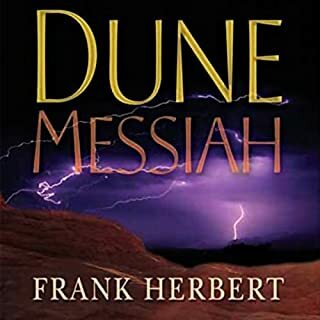 I would recommend this book to any who may have enjoyed the original Frank Herbert series. 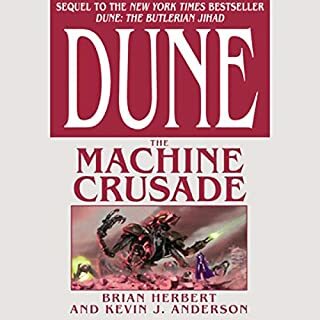 If you are new to the Dune series, it may be worthwhile to start with the House series and The Machine Crusade. These books should prove to be a great back-story to the original series. You know you have a good book when you start down-loading the next one (like I am now) before you finish the one you're listening to now, or the one you have recently purchased by the same author. 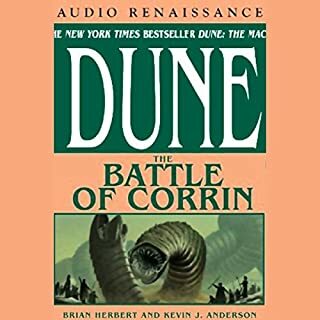 Would you consider the audio edition of Dune to be better than the print version? They are about the same. The narration is good but it is about the same whether in print or audio. I like learning the backstory of my favorite characters from the original series. The narrarator helps flesh out the characters a bit. No, it is too long for that. This is a good book, in a good series. It was a bit formulaic and didn't quite mesh with the original series. It still is a good book on its own merits. You can tell these are the first attempts of the authors to address the material. They get it much better in later books. 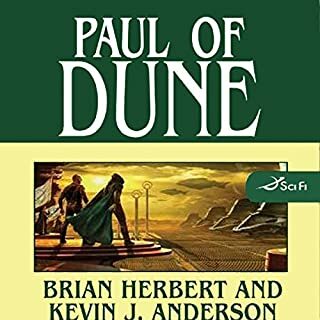 (legends of Dune series) as the authors hit their stride. 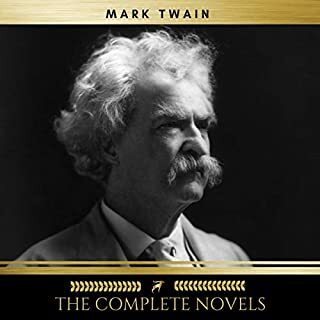 while I enjoyed this book quite a bit there is an issue where audible only has it set into 3 chapters the longest being about 24 and 1/2 hours making listening on multiple devices or in multiple sitting is quite difficult if the devices don't sink properly. 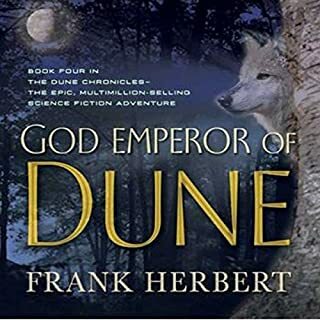 I absolutely LOVE ALL of the DUNE books, my favorites being The Legend of Dune series. 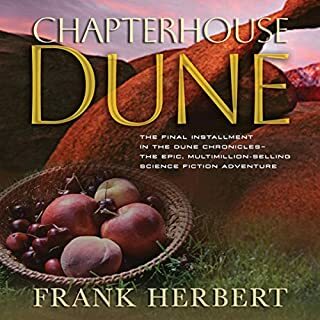 But, it's so interesting to go back and read this trilogy because it reveals so much detail in how the plots and intrigue of the future books were set up, including the mysterious "no-ship" that is a major part of Chapterhouse Dune. 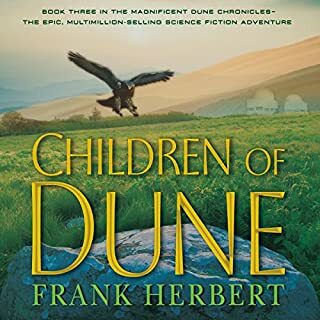 This is another series that I can't get enough of, and apparently, Herbert (Frank and Brian) couldn't get enough of writing it either! There are so many branches that take off from the "main" books. I'm actually reading the whole series over again, in order, as much as I can figure out, starting with this Trilogy. 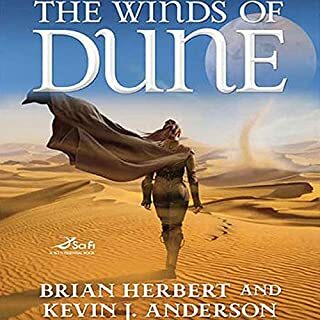 I know someday I will go back and read Legends of Dune -- wonderful! Brian and Kevin are amazing story tellers. I loved this book also and so will you. 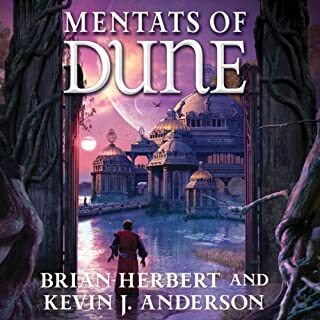 Herbert and Anderson continue the epic backstory of how the main characters of the original Masterpiece found their way to Dune. 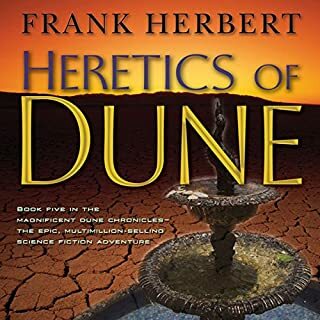 Motivations and circumstances of the noble houses are explained in a detail and style similar to the original works of Frank Herbert. All the protagonists are super heroes. 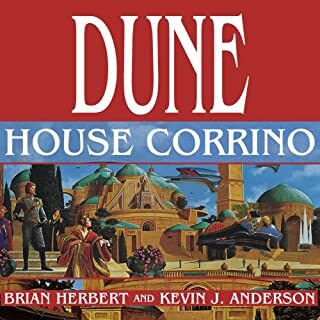 Mentioned in Dune? Then it MUST be included! Is the entire million planet imperium balaset players? ?